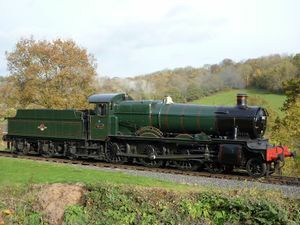 The Erlestoke Manor Fund was founded in 1973 and owns GWR 7802 Bradley Manor and GWR 7812 Erlestoke Manor. 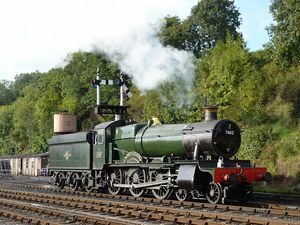 The Fund's prime objective is To keep both 7802 Bradley Manor and 7812 Erlestoke Manor in full working order, to the highest standard, in an authentic livery, to run on a preserved railway (Severn Valley Railway) for as long as practically possible. The Fund publishes half-yearly newsletters and arranges shareholders’ events, including driving experience and special trains. The Erlestoke Manor Fund Sales Coach is situated adjacent to the buffet and car park at Bewdley and located in BRBritish Rail or British Railways General Utility Van GUV 86105. It is normally open at weekends during the operating season. The Fund was an unincorporated body, constituted with a Management Committee as Trustees of the Fund and the Fund's locomotives and assets. Membership was conferred on those subscribing the minimum holding of non-transferable shares, entitling the member to part-ownership of the Fund's locomotives. On 10 May 2018 the Fund became a charitable community benefit society, registered (no. 7765) on the Mutuals Public Register of the Financial Conduct Authority (FCA) under the Co-operative and Community Benefit Societies Act 2014. It has a bespoke constitution agreed with the FCA, a corporate structure to limit the liability of trustees and members, but one that reflects the constitution, is tax efficient and still allows members to continue as shareholders.